Are Any Network Marketing Businesses Legitimate? 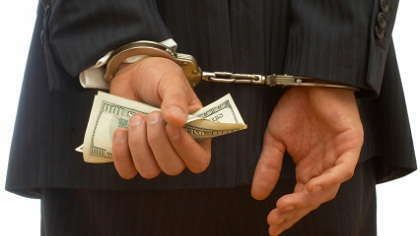 Find out which network marketing businesses are legitmate and which are scams. Network marketing businesses, or multi-level marketing, is an easy lure for home business owners and WAHMs. Though network marketing business has its share of scams, it would be wrong to discard all such business opportunities as illegitimate. Big brands like Amway, Excel, Avon and USANA to name a few, continue to grow through multi-level marketing and they are not scams. The key to a successful network marketing business lies in knowing more about it. Read up as much as you can about MLM to make yourself comfortable about the subject. As a business owner, expertise is a must before further planning. Do not, however, just Google it to learn from the so-called experts. There are many fake gurus out there who can be fatal for your growth. Seek real experts and MLM business owners to learn the basics of the business. A credible source to the workings of attractive network marketing scheme is the one who introduced you to it. Is she trustworthy enough? Is she earning good from it? Are the products good and is the business owner using it? Answers to some of these questions would give you enough information on how legitimate the home business opportunity is. Grasping the nuances of the business becomes easier with pre-work with your general research. Quality time spent with your referrer would provide you with enough information to understand its profitability. In a network marketing business, it is essential that you know your product because you are both a business owner and a customer. A thorough research on the product aids in making a learned decision on its usability and your decision to sell it. A good legitimate MLM would have good products to market thereby, making the business lucrative. Often, the recruiting process in the MLM scheme tells a lot about the home business opportunity. Are you being continuously chased to sign-up, pay and start selling the product without you getting a chance to use it? Or is the MLM relaxed enough to have your go at it before converting you in to an ambassador? Any scheme that waves the green light on you right after you gave your email id is a sure sign of trouble. Stay away from such "opportunities", and stick to traditional way of business - sign-up, check the product and then sell. There are many people who have been very successful in network marketing and an even larger number who have lost money and sweat in this business. What would help you in making the right decision over the legitimacy of your network marketing opportunity is your knowledge. Know more and make an informed decision.